1. Sieve flour and custard powder. Add in milk powder and icing sugar. Mixed well. 2. Add 2 egg yolks and vanilla essence. Mixed well. 3. Add half of the cold butter; mixed well. 4. Add another half of the butter; mixed again until form non-sticky dough. 5. Adding some flour if you find your dough too soft and sticky. Store at refrigerator for an hour. 7. 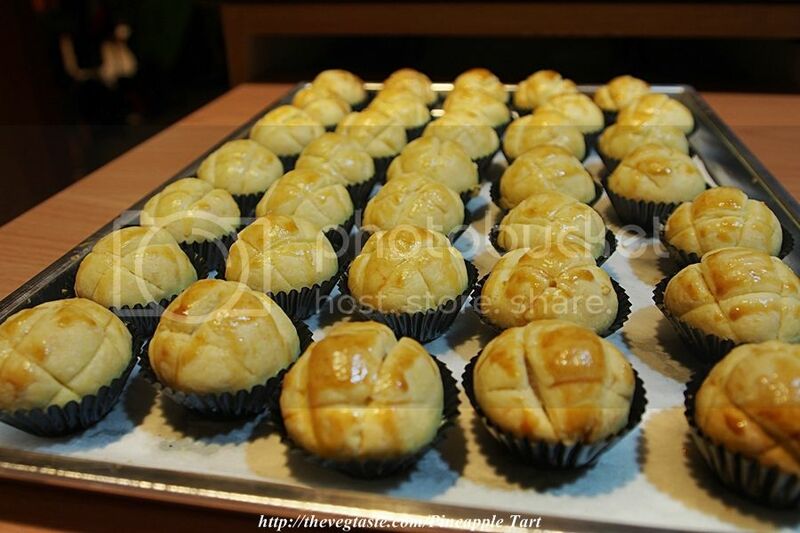 When finished rolling the pineapple filling, take out the dough from refrigerator. Pinch 15g dough, roll into ball then flatten for testing. The dough should be non-sticky and can be easily shape. 8. 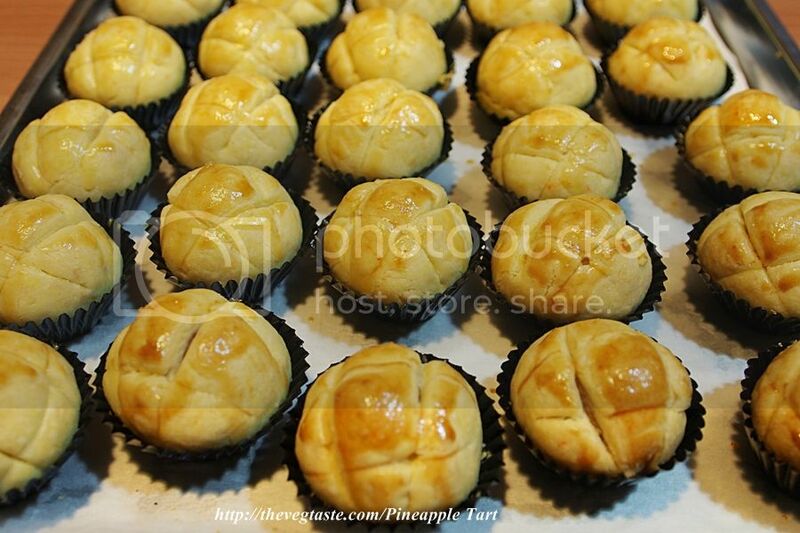 Shape and fill the dough with pineapple filling at your preference mould or shape. 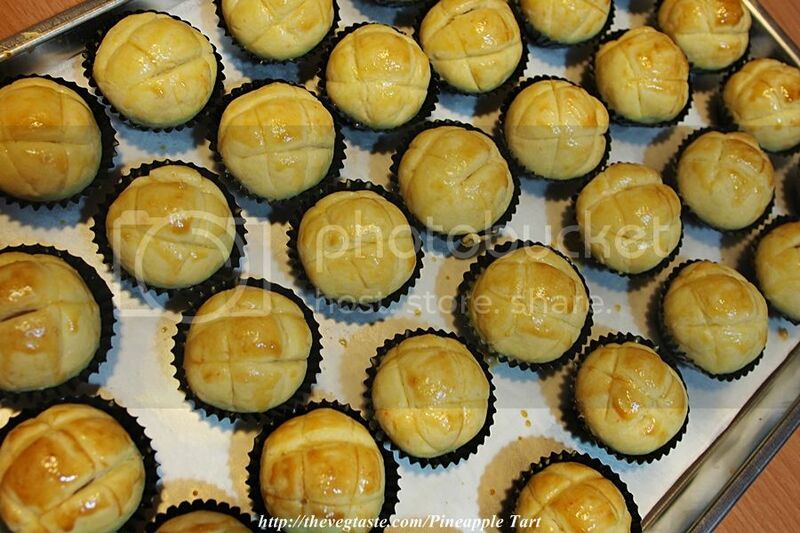 The size of the pineapple filling and dough is very depending on the type of mould and shape of your pineapple tart. Adjust accordingly at your preference. 9. 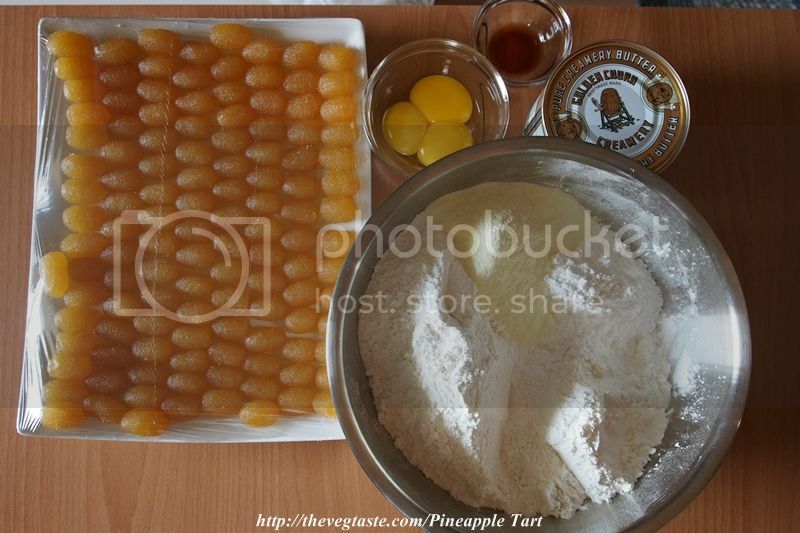 Arrange the tart on lightly grease baking tray, apply egg wash.
10. 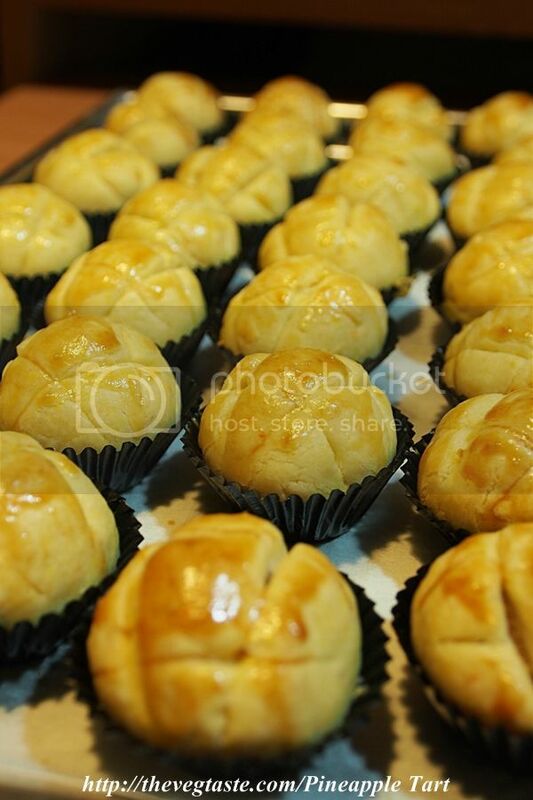 Bake at preheated oven 150C-160C for 20min with upper and lower fan on until golden brown. The heats are very depending on individual’s oven. Check your oven’s manual book under cookies temperature and adjust accordingly. Remember here, we are dealing with buttery dough so DO NOT use high heats as it will cause the dough melt and flatten; out of your desired shape. 11. Cool completely and store at airtight container.